With its stark warning colours Amanita muscarias red and white flecks help identify this magical mushroom as a member of a deadly family of mushrooms. Amanita muscaria’s often commonly referred to as fly agaric in European countries. The mushroom remains highly significant in terms of its medical, as well as magical properties. This magical mushroom grows throughout Europe, Russia and America. Fly agaric refers to its common name as it’s often soaked in milk and honey followed with its placement at windows to keep flies at bay. 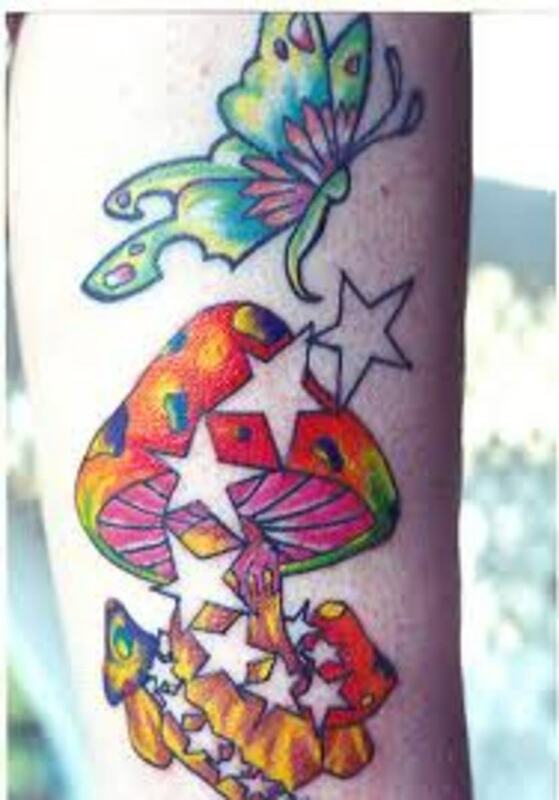 Amanita muscaria symbolism appears in many forms of literature as well as modern media. This magical mushroom makes a distinctive appearance in many forms of children’s literature, folk stories, fine art photography, and computer games such as the Mario Brothers series. Even Santa Claus and his magical flying reindeer have an association with this prestigious magical mushroom. Yet this is strange why would we expect to see this mushroom in so many forms of entertainment? Can it be that this unusual Mushroom has some other significance upon the Human Psyche. Perhaps it is fair to say that there is a connection here that extends further than we might imagine. Amanita Muscaria belongs to a potent family named the Amanita family of mushrooms. The Amanita family features such infamous members as the highly deadly Death Cap (Amanita phalloides) and the Destroying Angel (Amanita bisporigera) amongst a host of others. The muscaria mushroom remains very distinctive, often found in the autumnal season. A cold frost will however spell the end of this wondrous fungi. Amanita muscaria’s location usually locates it under birch trees which begin to stir this mushrooms magical mushroom association within Celtic mythology. 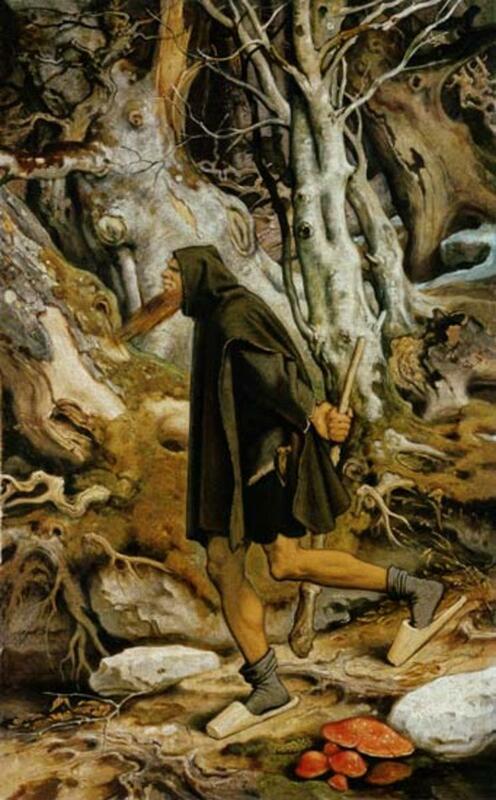 The Birch tree has associates with fertility, and woodland spirits. Amanita muscaria features clearly visible red colouring with red spots, or warts, covering the top of the mushroom. Underneath the gills indicate a pale white colouration. Amanita muscaria has an alternative health application, giving its inclusion into the magical mushrooms arena of interest. Fly agaric remains closely linked with the neurological functioning of the human body in alternative medicine. Amanita muscaria as a mushroom has uses in treating varying nervous disorders. These disorders originate within a neurological capacity and include such illnesses as dementia, continual dizziness, and Parkinson’s disease. Other uses for this magical mushroom as an alternative medicine has enabled sufferers from nervous tics, depression and epilepsy to feel significant less adverse symptoms with the use of the fly agaric as a medicine.. The mushroom primarily focuses on cerebral treatments. This revels the mushroom has a chemical ability to effect a persons neurotic state of wellbeing. 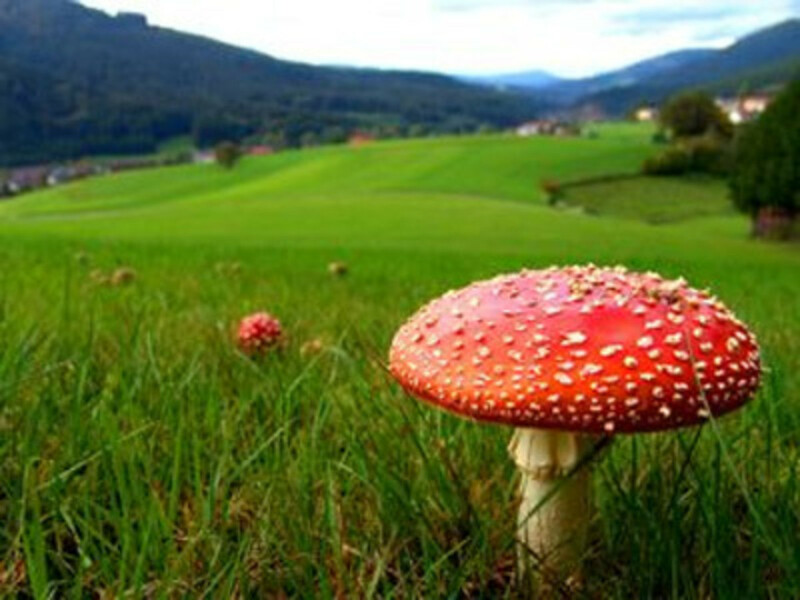 Homeopathy also uses the Amanita muscaria within its field of treatment. Fly agaric dilutions become utilised for problems with the female menopause as well as subduing over-excitability, bladder and intestinal cramps of the human body. The magical mushrooms main chemical components within the fly agaric remains the key to this mushrooms significant alternative health benefits. Ibotenic acid and muscimol (a psychoactive alkaloid) exists as the two active medicinal ingredients found within the Amanita muscaria fly agaric mushroom. 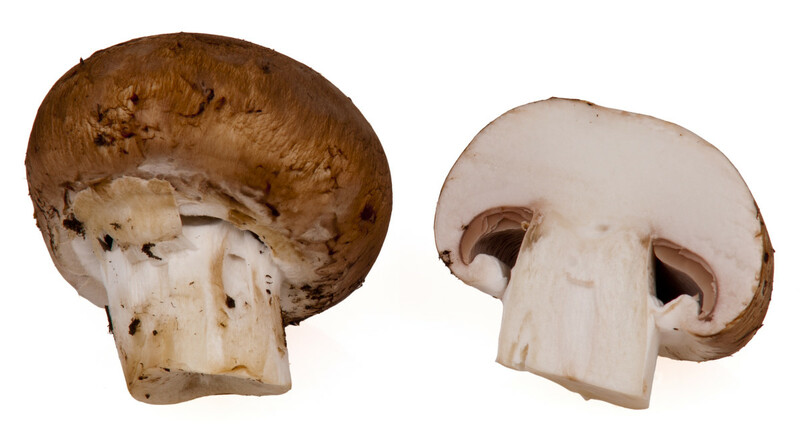 Great care should be taken and this mushroom must never be eaten raw or unprocessed. The poisons present whilst it is still moist are enough to render serious liver damage to anyone that eats it. There remain various reports throughout modern, as well as ancient cultures, about how the Amanita muscaria mushroom remains widely used in cross-cultural Shamanic rituals. Scriptures of use of the fly agaric remains recorded in Buddhist, Native American, Japanese, Siberian, ancient Greek, and proto-Hindi manuscripts throughout the world as a whole across differing times and social groups. The mushroom has a potential hallucinogenic property while some consider the fly agaric highly poisonous in its natural state. It is strange that this mushroom also extends to other cultures. It has at once become a symbol for various nations and tibes throughout the earth. Reactions to the Amanita muscaria mushroom appear to differ from person-to-person. Each fly agaric, despite its magical mushroom status, contains varying amounts of chemical which may cause adverse liver damage and possibly death. Shamans in Siberia process fly agaric as part of a shamanistic ritual. 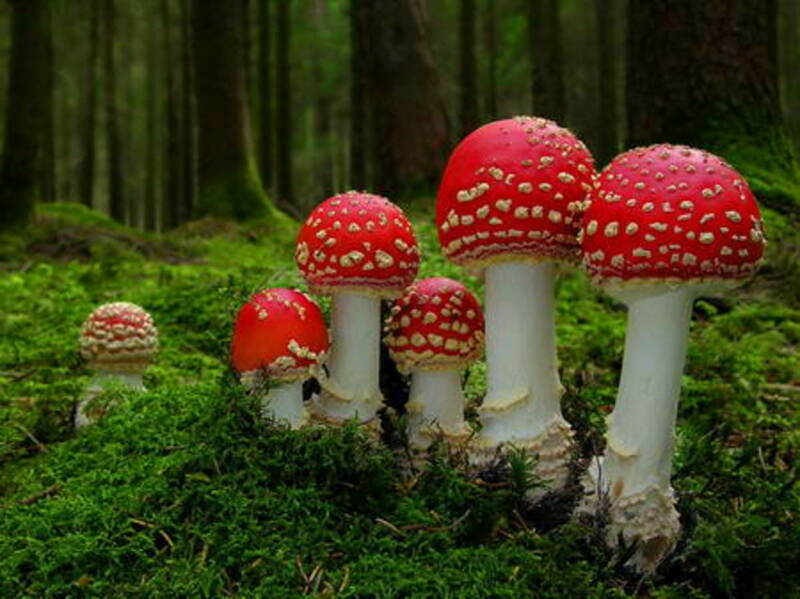 However they have a way of synthesizing the Fly agarics natural poisons. The method involves feeding the Amanita muscaria magical mushrooms to reindeer and then collecting the animal’s urine. The reindeer’s able to naturally negate the fly agarics poisons without harm. The Reindeer’s urine, safe from poisons, gets drunk by shamans as part of their ritualistic event. What’s also interesting about the Amanita muscaria mushroom remains clearly seen through the potency of the chemicals involved after it’s already drunk. The chemicals within Amanita muscaria remain present even after initial processing through the human body. This allows the shamans of Siberia to collect their own urine in a communual pot for shared drinking. Its potency passes through the human body allowing its use again and again. 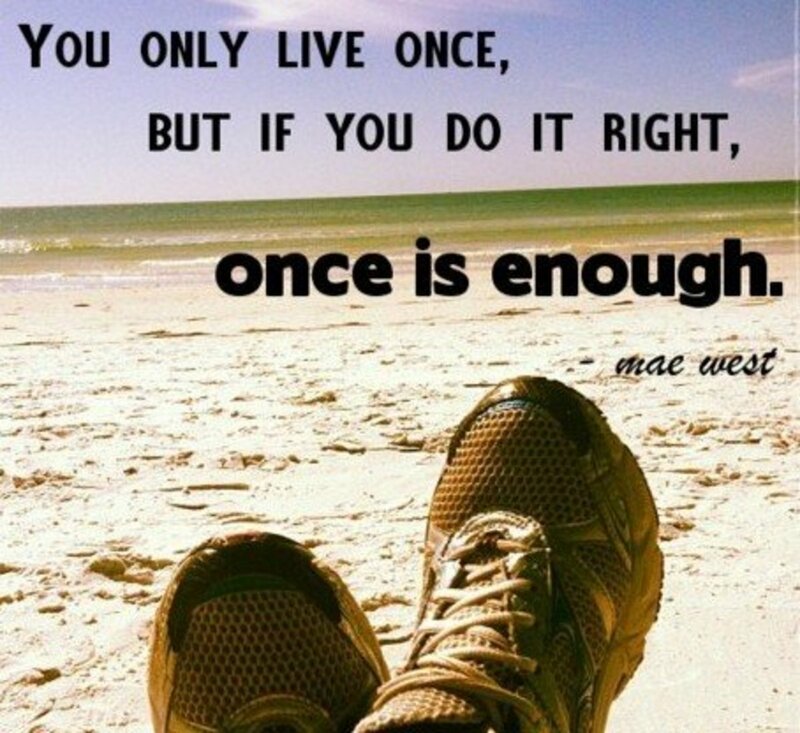 Its estimated that it pass through the human body ten times without losing its chemical properties or potency. 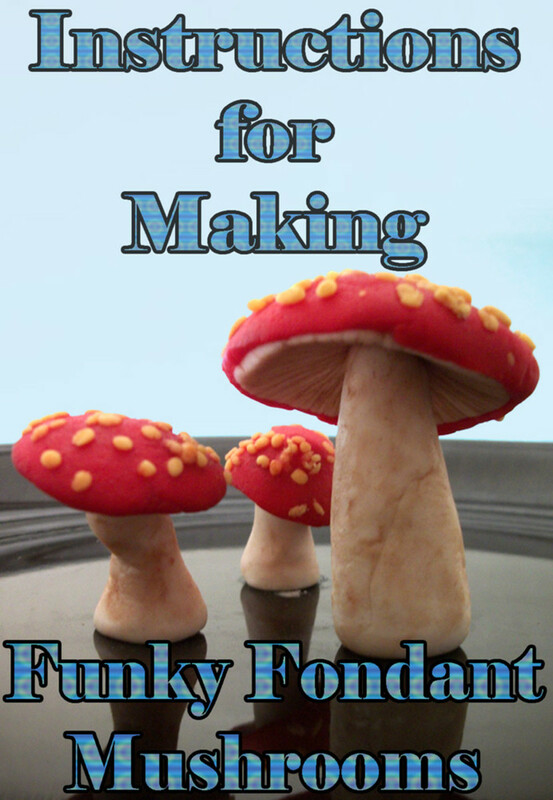 The musroom sometimes gets mispronounced as Amanite, when in fact it is Amanita! The connection and affinity between man nature and animals makes this mushroom most interesting. However it's really only used by shamans, for purposes those that are uninitiated should leave well alone. Whilst some people may look at this drug with wild eyes, it is important to remember that this fungi or mushroom if you prefer is extremely toxic and can cause fatal injuries and liver and kidney damage as well as death. Effects of ingestion can include (due to high levels of muscarine and other toxic alkaloids) nausea, vomiting, diarrhoea, excessive salivation, perspiration, watering of the eyes, slowed and difficult breathing, dilated pupils, confusion, and excitability. Illness usually begins within a few hours after eating the mushrooms, and recovery usually occurs within 12 hours. I stumbled into this mushroom while foraging for a soup I was making in Central Idaho Wilderness August of 2013, they were in the button stage and I mistook them for young Red Belitos mushrooms and gathered up a quart of them and added them to my vegetable soup. I went to sleep and had lucid dreams for 11 hours, though I did not know it, I was convulsing and trembling and rolling and crawling around camp, I was restrained from injury and hypothermia by my 11 year old son and 68 year old friend, I came to 11 hours later and search and rescue had arrived, it took them seven hours to get there with a mule, a horse and 5 people, but I was not fit to ride a horse so they summoned a helicopter only one that could possibly extract me was an Army Black Hawk because the terrain was too rough and forest for landing, I hooked into a rescue line and hauled into the helicopter with an Army Ranger and flown to a hospital for 2 days. Actually I felt great, was very euphoric and my imagination was unbelieveably provoked, it took 4 days for the extreme euphoria to wear off, and 9 days until it was finally gone. The hospital had no idea what kind of mushroom I had consumed but eventually found an incident on Erwoid similiar to mine a year later we went in there again and found the mushroom fully developed - this confirmed that it was Amanita Muscaria, the next year I took a sample and made a tea which I drank slowly over the course of an entire evening. I became very euphoric and very relaxed, but could think clearly - was not noticably 'intoxicated' to my family and did not tell them about the tea, I was able to take an hour hike in the mountains with my five labradors, slept soundly and peacefully and woke very refreshed and in good mood, 20 hours after ingesting the tea it was completely gone, except for the pleasant memories. It was all good. The key is making the tea by steeping the sliced mushrooms in hot water for about an hour than sipping very slowly as to not over dose, it takes about 1/2 hour to feel the effect. I did it just right the 2nd time. I have been a practicing witch for years and have always loved exploring plants and crystals, I get anxiety often mostly stemming from past trauma and find many herbs useful, I have recently added fly agaric to my herbal blend and although I expected it to be nice I found it to be as good at treating my anxiety and stress as cannabis, it is different but similar in feel, I felt a special connection to this mushroom instantly and really enjoyed it, when I went to sleep I had good dreams and woke feeling really refreshed and with the urge to go out into the early morning nature, I had 6 hours sleep when I prefer to have 10 if I can get it so me feeling so good and invigorated after so little sleep is a big thing, this mushroom is now one of my favourite herbs to enjoy medicinally and just because it feels great! A very magical plant I love it. I recommend it to anyone with ptsd and anxiety as long as they treat it with respect and gratitude. Blessed be Gaia bless. Thanks - I am happy that this writing helped you towards your project! Thank you Fern for a wonderful insight. It truly is an amazing Mushroom - I will check your work later as it sounds very interesting. Thanks for reading my article. It is poison so long as it is not dried. Once dried it can be taken safely in moderate doses. It also has immune system benefits in that if taken often enough it will set up a culture in your body and provide protection to your immune system. People have used for centuries to impregnate wooden bowls with it and drink routinely from them and then back wash into them so the amanita could consume the backwash which we now know is full of germs. In return when the germs are eaten by the amanita in the bowl, it would put off what are the equivalent of tailor made antibodies, just for you based on the germs found in your backwash you left in the bowl. 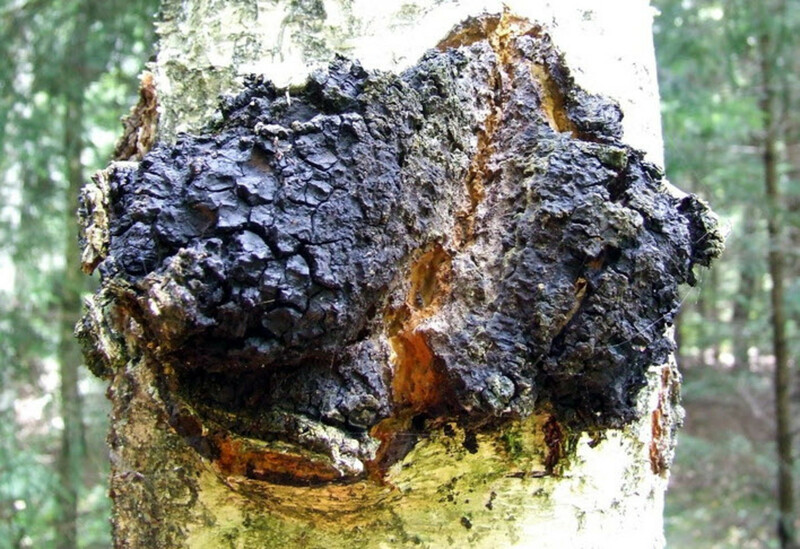 It is the same symbiotic relationship trees have with fungus as they do not have their own immune systems and require the assistance of the fungi to keep them disease free. So consider your self a tree and learn more about amanita to start improving your immune system. My first loading dose was the best sleep I have had in several years, you will be amazed as to how refreshed you will feel the next day. There is also drink you can make with it called Ambrosia that is explained on the site. I just happen to be doing an herbal internship on an herb farm where the gentleman who founded the Ambrosia Society lives an have used it several times when feeling like I was getting sick only to feel better several hours later and never get the full blown what ever it was that was about to make me sick. As a nurse as well, I felt it my duty to pass on the information as I was just surfing around doing more research and found this page. Thank you for writing about it so others can begin to learn more about it wonderful benefits. Yes it's amazing how the Siberian Shamans use the effects of this Magical Mushroom to understand the world in greater details. I found your hub very interesting especially the lengths that people will go to enjoy the effects of drugs. I am not one bit adventurous when it comes to trying chemicals on my body and will stick to the Jamie Oliver type mushrooms we buy in the shop. You are very knowledgeable chap and I like the way you write. Thank you. Hi Bob I read your hubs with great interest. I do hunt for the hunt for them in the world but am very cautious. I was under the impression that there were only a few really deadly mushrooms, until I heard about the author of the "horse whisperer" Nicholas Evans and his wife and 2 friends getting poisoned by eating Deadly Webcaps mistaking them for Chanterelles. Always better to be cautious in my opinion - I usually hunt Boletes or Penny Buns as they are extremely identifiable..